Diversified explorer Thor Mining (ASX:THR,LSE:THR) has announced the completion of its first stage exploration program of the Samarkand tungsten deposit located within the Bonya project in the Northern Territory of Australia. Thor acquired Bonya in mid-2018. Samarkand is one of 13 tungsten deposits at the Bonya project. The exploration program targeting Samarkand resulted in the discovery of an extensive tungsten mineralization, which included several high-grade zones. The Bonya tenement, which is also home to a copper and vanadium deposit, is a joint venture between project operator Thor, which owns 40 percent, and Arafura Resources (ASX:ARU), owner of the remaining 60 percent. “We now have confirmed tangible evidence of extensive surface outcropping tungsten mineralization at Bonya, including mineralization extending in excess of 500 meters of strike at Samarkand,” Mick Billing, Thor’s executive chairman said in the press release. Bonya is located within close proximity to Thor’s solely-owned Molyhil tungsten project, a site that also hosts a molybdenum deposit. “Samarkand is just one of what we believe will be series of satellite tungsten and copper deposits within economic trucking distance of Molyhil, thus making the case for Molyhil development even more compelling,” added Billing. In late January, Thor released its Q4 2018 operations update, which also included overviews of the company’s US-based project Pilot Mountain, as well as the Kapunda copper project located in south Australia. In the quarterly report, Thor announced a maiden resource estimate for the Bonya copper deposit of 230,000 tonnes, with a 2.0 percent grading; add to this the tungsten mineralization and Bonya is an attractive project for the diversified explorer. “These initial results demonstrate proof of surface outcropping tungsten mineralization extending in excess of 500 meters strike length at the Samarkand deposit,” Billing said. An independent geologist has been brought in to conduct an assessment of the vanadium deposits. Thor will work to attain regulatory and traditional owner heritage clearance, while an initial drilling program at Bonya is expected to commence during the March 2019 quarter. 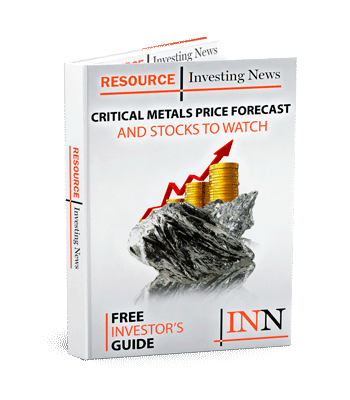 Shares of Thor Mining sat flat on Monday (February 4), trading at AU$0.025.